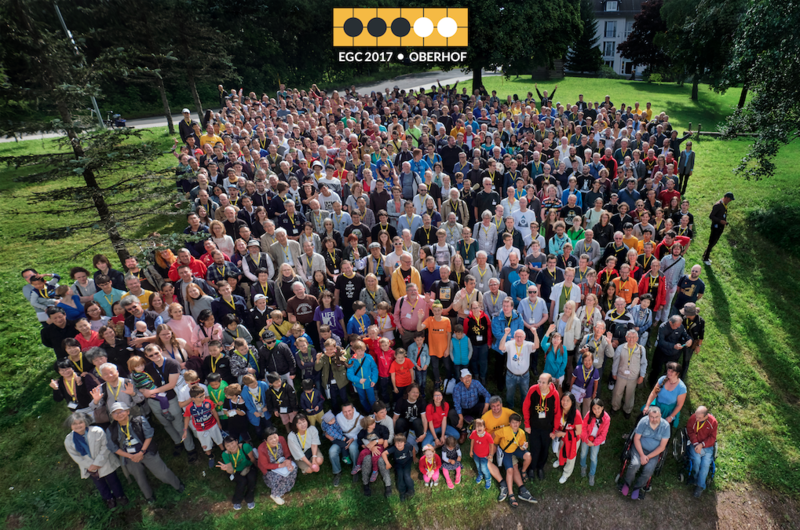 The European Go Congress is for many European go players the year’s highlight go event. 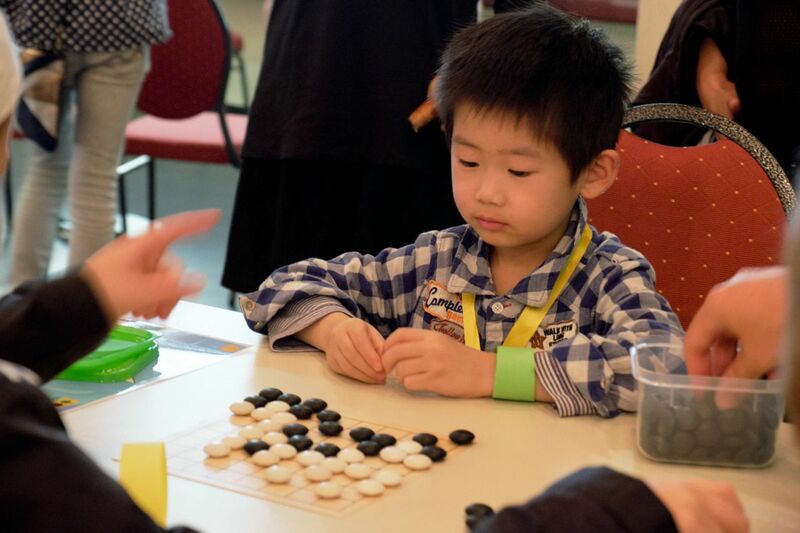 A go congress typically consists of playing go for two weeks, watching go lessons, meeting new and old friends and visiting new places. 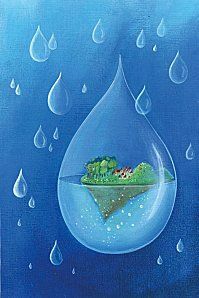 Its location changes every year from Western to Eastern and from Northern to Southern Europe. This year’s congress is taking place in Oberhof, Germany between the 21st of July and the 6th of August. Next year’s congress is going to take place in Pisa. If you want to go and still haven’t registered, keep in mind that the registration fee is discounted until the end of this year’s congress. 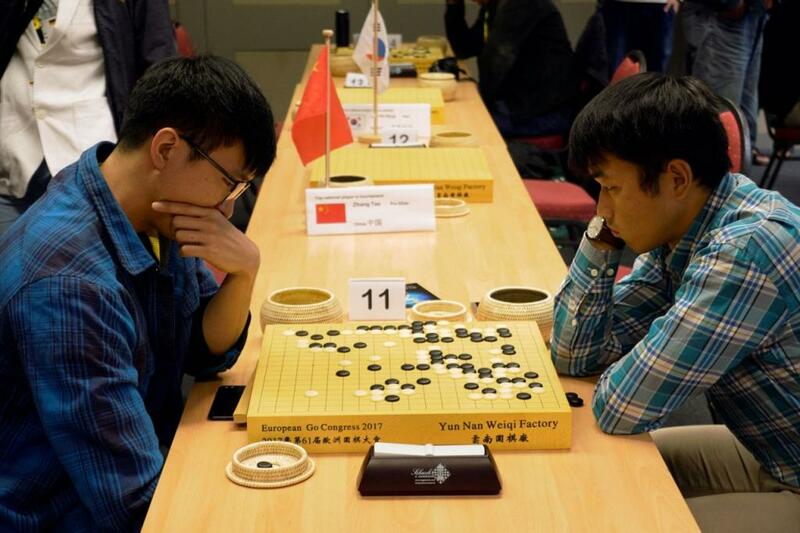 The 7th Pandanet European Team Championship Finals took place at the beginning of the congress. As in the previous years, 4 teams qualified (out of a total of 36) to play in these finals. These teams represented the following countries: Russia (Ilya Shikshin, Alexander Dinerchtein, Grigory Fionin, Dmitrij Surin and Timur Sankin), Ukraine (Artem Kachanovskyj, Andrij Kravec, Dmytro Bogatskyy and Volodymyr Kokozei), Romania (Cristian Pop, Gheorghe Cornel Burzo, Dragos Bajenaru and Daniel Cioata) and Hungary (Pal Balogh, Csaba Mero, Dominik Bővíz and Peter Markó). 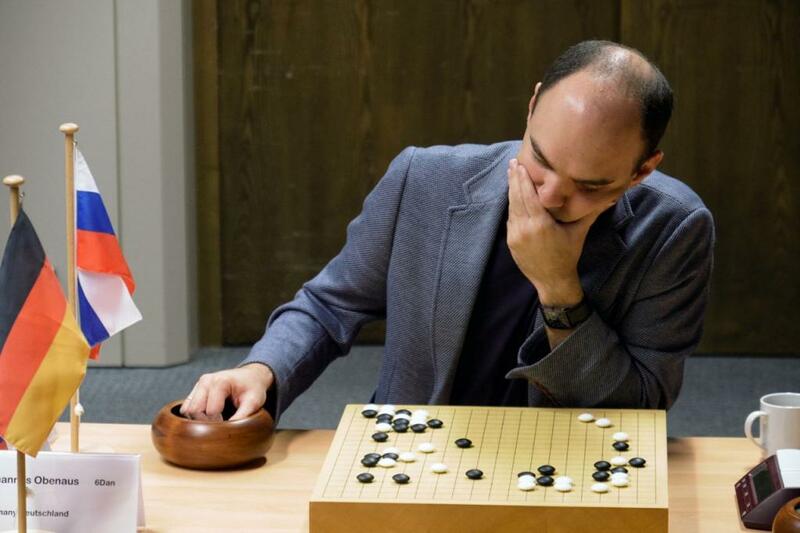 Twenty four players competed in the European Go Championship. Among them were the EGF professionals: Pavol Lisy, Ali Jabarin, Ilya Shikshin, Artem Kachanovskyi, Mateusz Surma and Andrii Kravets. 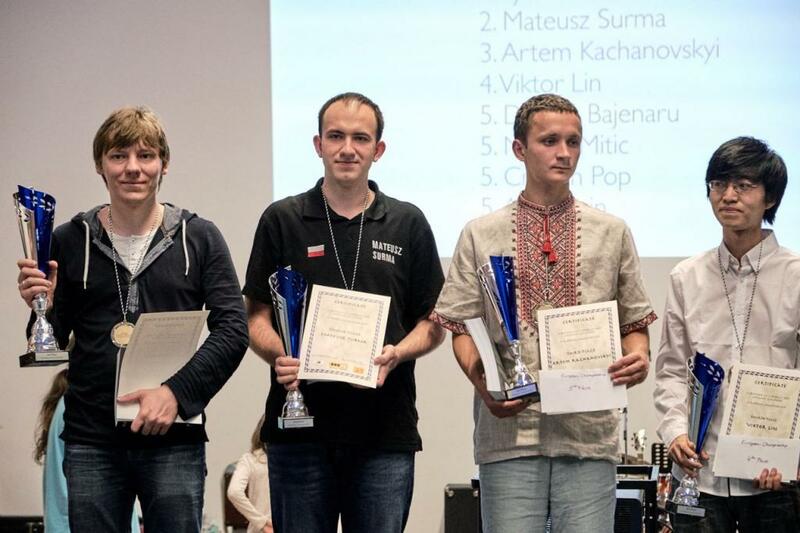 Famous names among the European go players like Cornel Burzo, Cristian Pop and Csaba Mero joined as well. Then, there was a big group of very young players: Oscar Vázquez, Dominik Boviz and Grigorij Fionin. 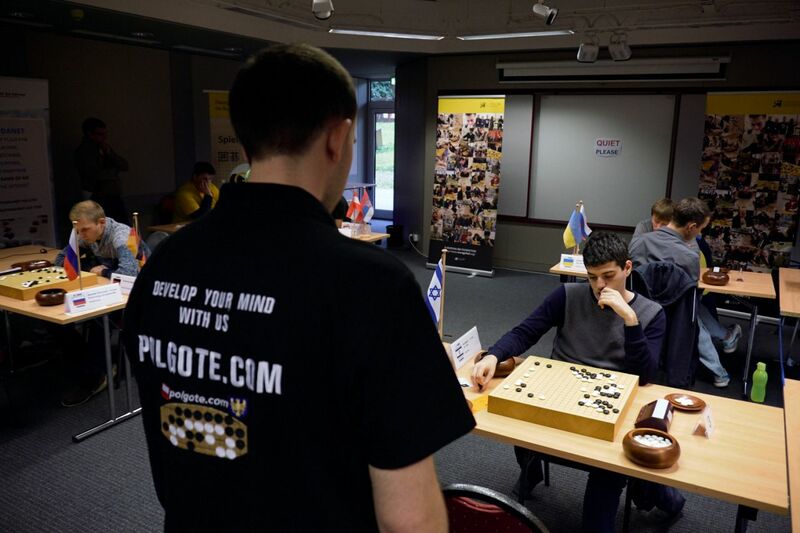 The list of the top 8 players was already quite exciting: Artem Kachanovskyi, Ali Jabarin, Ilya Shikshin, Mateusz Surma, Nikola Mitic, Cristian Pop, Dragos Bajenaru and Viktor Lin. Dragos Bajenaru was maybe the most surprising presence in the group, since during the last years he has been less active than the majority of the strong European players. I spoke to Viktor right after his victory against Nikola and he mentioned that he found the pairings very lucky for him. In the first round he beat Lukáš Podpera, in the second round he beat Johannes Obenaus (who had just beaten Pavol Lisy, an opponent maybe slightly harder to defeat for Viktor), in the third round he beat Dusan Mitic and in the fourth round he beat Nikola Mitic (who had just beaten Andrii Kravets, the new EGF pro, and again, an opponent maybe slightly harder to defeat for Viktor). As he put it, he found himself lucky that his opponents got to defeat the European pros up to that round and he didn’t need to play against them. However, the next round he got to face one of the EGF pros Mateusz Surma and he was defeated. 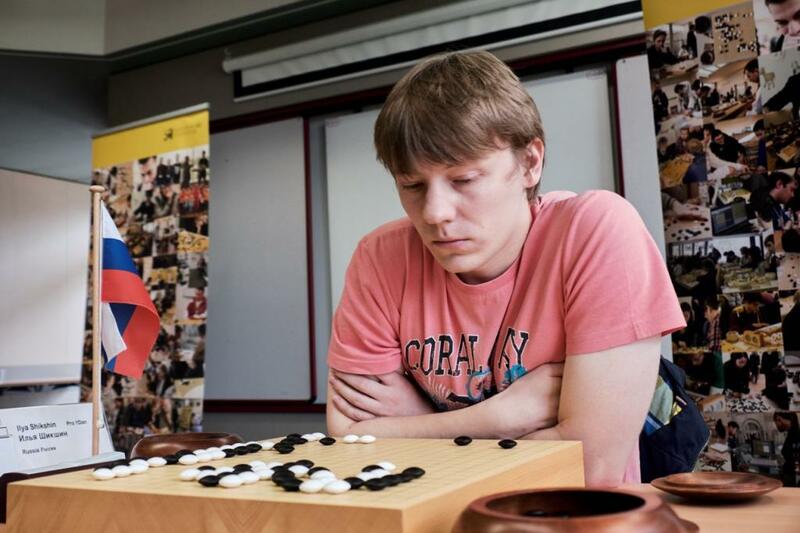 The other game of the semifinals was played by Artem Kachanovskyi against Ilya Shikshin and the latter one won and after beating Mateusz Surma in the final, Ilya became the European champion for the 5th time. For full results and the games click here. One somewhat go legend was present at the weekend tournament: Lee Kibong. He was defeated by Lisy Pavol and Youngsam Kim. However, I found his game against Youngsam Kim quite fascinating. Over 700 players from Europe and other continents are competing in the Open European Championship. Last year’s champion, Youngsam Kim 7d from Korea, is also playing, but he faces a tough competition: players like Zhang Tao 5p and Li Xiaoxi 2p together with the strongest European players won’t make it easy for him to defend his title. All rounds of the European Championship (apart from the final and the semifinals) are included in the Open European Championship and so the participants at the former one have a chance to win the last one as well. For the results so far and more information click here. The Rapid tournament is taking place during both weeks. A few professional players joined the tournament as well. The results so far can be found here. For those who don’t know, Rengo is a special type of go: a team is made out of 3 players who play alternatively on the same board. This particular rengo tournament had some special rules: full handicap was used, but there was more than that. The team who had the largest age difference between the youngest and the oldest team member got an extra handicap. I had the chance to join the Rengo championship with an awesome team: Youngsam Kim (7d) and Soren Ohlenbusch (4d). Being the weakest of the team always brings some extra pressure, but having a lovely team changes things fundamentally. Thirty minutes main time and 20 sec*3 times makes the players more alert and the games more entertaining. Maybe our most interesting game was against a Russian team made out of 3 young boys, two of them were likely under 10 and one was around 14. Their ranks were 1d, 17k and 18k. We had to give them 17 handicap. How do you even place 17 handicap stones on the board?!? While staring at a board full of black stones, the feeling of hopelessness overwhelmed us. The expression of every person who came to watch the game in the very beginning was quite priceless: they saw the board and for a moment couldn’t figure out what was happening. However, little by little we started to build our own territories and capture some of their stones and in the end we had a very clear lead. After beating the three Russian boys, our team, together with 3 more teams, had 4 wins after the 4th round. So the 5th round was decisive. The two winning teams from the first two boards were called SAT and KLT. They had to play a 6th round to decide the winner of the tournament. The ladies tournament had, unusually, only 3 rounds, which I found surprising. Li Xiaoxi, 2p, decided to join the tournament as well. She and Cho Eunjin 6d from South Korea were the two top players from the top group with 2 wins and they had to play one more game to decide the winner, while Ouyang Yizhuo 5d finished on the 3rd place. The other players who finished with 3/3 wins were: Kim Young Soon 2d from Korea, Vadova Dita 3k from the Czech Republic, Kullik Bettina 11k from Germany, Razumova Anna 14k from Ukraine, Pezzoli Laura 15k from the Netherlands, Khabibullina Diana 16k from Russia, Burzo Diana 18k from Romania and Medak Jasna 20k from Croatia. 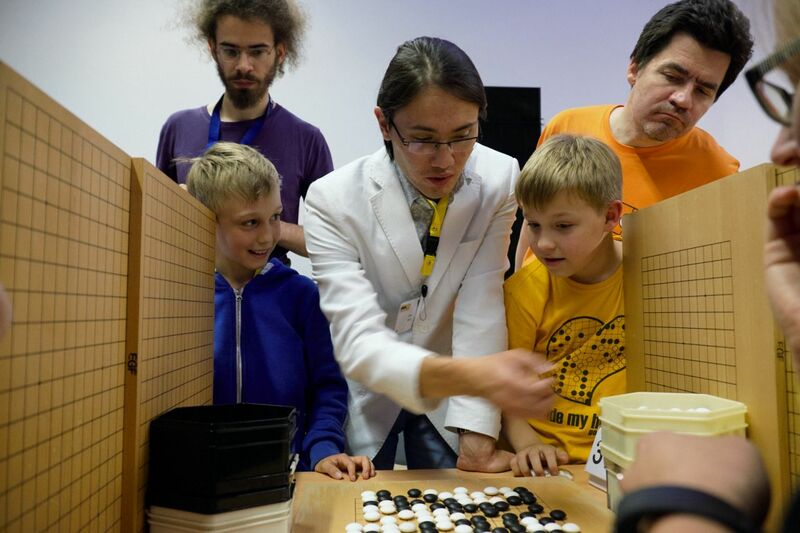 A few more tournament and events took place: e.g., 9×9, Phantom Rengo, CrazyGo. In the first week a movie about go called “The Surrounding Game” recently released could be watched. The directors of the film, Will Lockhart and Cole Pruit, were also present at the congress during the first week. Before that they were on a tour in North America and in Europe to promote their movie. The Annual Go Meeting took place as well. If you are interested about their decisions regarding things like tournaments and such, you can check the Minutes of the meeting. Other less go related events, like a Biathlon, a board games night, as well as a Russian night. One of the games that I played during the board games night was Dixit. Our game was partly go themed: “What do you feel like when you run away with your weak stones“, “A type of atari”, etc. Then Oberhof came into discussion. Among the cards chosen (which I moslty don’t remember anymore), I chose the following card and surprise! everybody (wrongly) voted for it. The participants of the congress will easily under stand why. 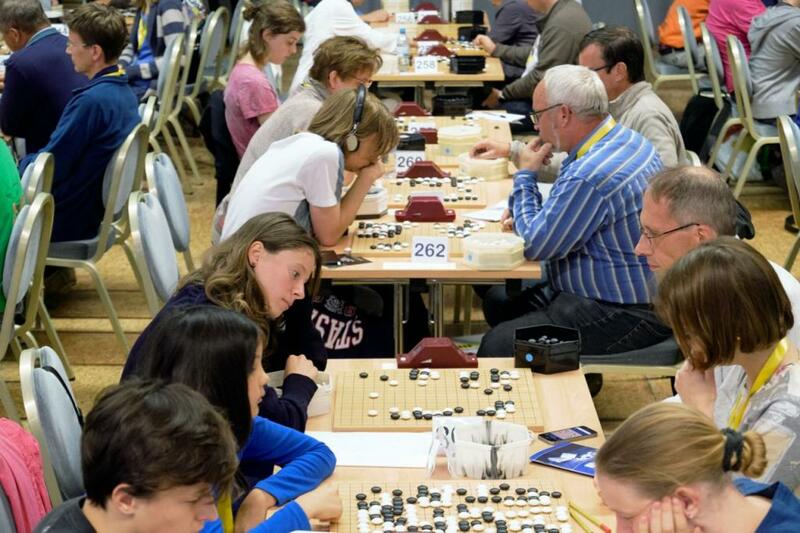 Tomorrow the Open European Championship together with other important events will follow, so if you have time, connect to KGS and watch the live broadcast of the first boards of the tournament (names of accounts: dgob1, dgob2, dgob3, dgob4).